The development of modern communication and information technologies like the Internet and globalization have not only changed access and spread of the available knowledge but also the speed of collecting. The author examines collections of knowledge such as archives, encyclopedias, data collections, and libraries that make knowledge accessible worldwide. Who is collecting the world’s knowledge? How is it structured and designed? Who determines the access of knowledge? Designers and researchers from different fields have set standards for the classification and design of complex data collections and thus exerted an enormous influence on how knowledge is communicated. This facilitates knowledge transfer, but it also increases the danger of manipulation. 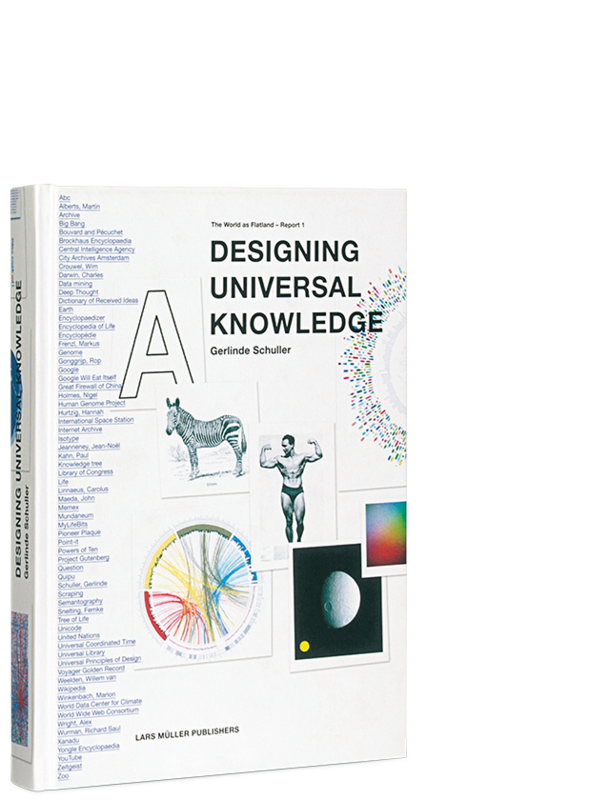 Along with these aspects, the book also explores the possibilities of “universal design” and presents new approaches to visualizing complex information.